You are buying this board directly from creator and we are not involved in any part of transaction between you and the seller. We are not provide any support or accept any liability whatsoever in regard to the goods supplied. Part of the revenue from the sales will be donated to support the EasyIoT project. with CE and CSN pins connected to digital pins 7 and 8 ( you use RF24 radio(7, 8); in Arduino code). 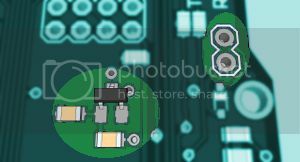 There is a 4.7uF capacitor connected across Vin and GND of the port. The board comes with a MCP1703 3.3V voltage regulator as a standard, which has an amazingly low 2uA quiescent current and high, 16V maximum input voltage. It can be equipped with other kind upon request. and 10k pull-up resistors for external I2C components, connected to analog inputs A4 and A5. 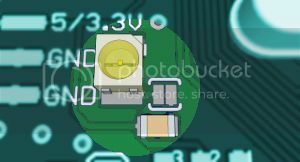 CH_PD pin has a 5.1k pull-up resistor and connection to D5. RX, TX and CH_PD pins are connected via solder jumpers, not to interfere with programming. 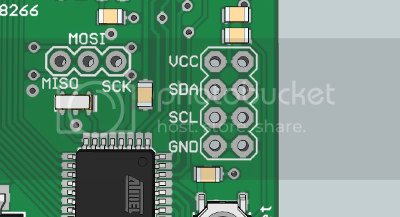 There is a 4.7uF capacitor connected across Vcc and GND. 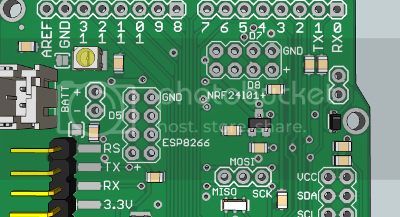 RX pin of the socket is connected to TX pin of the ATmega328p over the solder jumper and the TX pin is connected to RX in the same manner. for regulating external components such as solenoids. The gate is connected to digital output D3 of the ATmega328p, and the output is protected with a Schottky diode. On the back of the board there is place for: BMP180 pressure sensor, an additional EEPROM, a SHT21 temperature and humidity sensor and for TC series N-channel MOSFET driver. 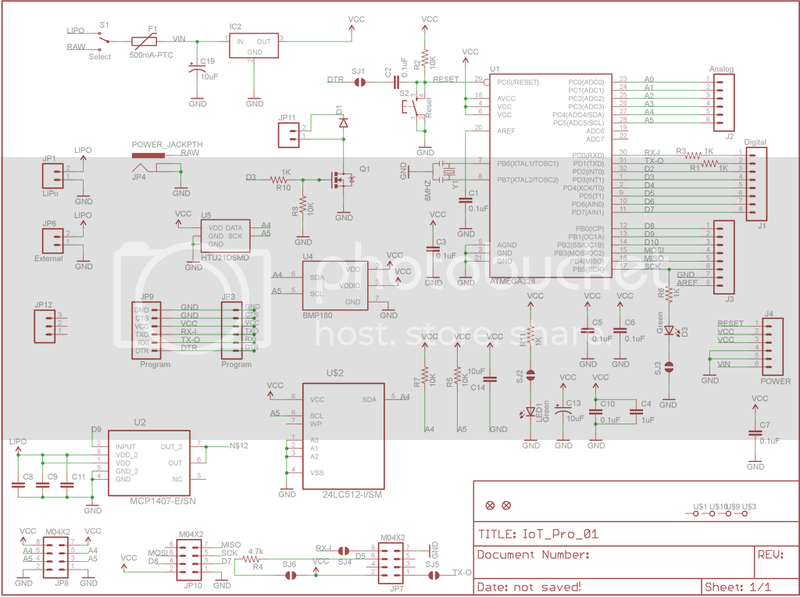 Here is the link to the Schematic. This board is perfect for low-power, wireless applications. Identical - small - footprint as Arduino PRO. Only better. It is intended for sensor applications and can be used as an universal board for sensor node networks. Dimensions are 2 inch x 2.1 inch. 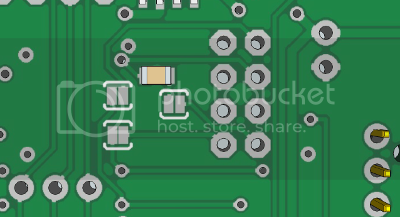 The board is 1mm narrower than Arduino PRO, to fit into 2inch slot of an enclosure. Fully Arduino compatible with Arduino PRO Mini 3.3V @ 8MHz bootloader.